The following is an article that I have been putting off writing for a while now, but following Hillary Clinton threatening TO GO TO WAR over this issue I found it necessary to comment on the issue. That is of course the matter of Wikileaks and the attacks it has gotten. I do not think people truly appreciate the journalistic service that Wikileaks is providing as a platform for whistleblowers. This is true to the extent that I find it necessary to list all the details of some of their most prominent leaks. Comments such as the ones I just referenced from Hillary Clintion are one of many attacks to represent the site as Russian propaganda. This derives from claims that the now infamous leak of e-mails from the Democratic National Committee (DNC) were done by Russians in an attempt to make Clinton lose the election. My response is that does that somehow make the problems revealed from the e-mail leaks invalid? The e-mails still revealed horrible things about the Democratic Party such as colluding with the media to undermine Bernie Sanders presidential campaign while claiming they were being neutral, asking the White House to reward donors, Debbie Wasserman Schultz using her position as the head of the DNC to undermine her primary opponent, and a variety of other problems too many to discuss here alone. These are important criticisms of the party and, regardless of the outcome of the US Presidential election, are problems that need to be addressed. Many members of the DNC who were participating in this corruption have resigned and likely would have remained in power if the leak had not happened. But it is more than just the DNC leaks that make Wikileaks important. They are also responsible for revealing the war crimes of the US in Afghanistan and Iraq. With Iraq (#FreeChelseaManning), they revealed a classified US military video depicting the indiscriminate slaying of over a dozen people in the Iraqi suburb of New Baghdad including two Reuters news staff. The Afghanistan War logs were shown to be just as damning. There have been hundreds of unreported civilian deaths with soldiers frequently counting dead civilians as “insurgents;” the Taliban using heat-seeking missiles against allied aircraft's and the US not telling the public that; the CIA basically running their own paramilitary in Afghanistan, launching raids and ambushes, and even has the ability to call in airstrikes. The logs also confirmed what we already knew, that the US gives millions of dollars to Pakistan only for that money to be funneled to insurgents that kill American soldiers. Also as a Canadian I will forever be angry of how they cover up the death of Canada's soldiers as enemy attacks. The leaks have not only been limited to attacking the problems related to American politics. Wikileaks can also be credited for fueling the international movement against the Trans-Pacific-Partnership by leaking drafts of the deal that shows the deal would prevent states from enacting environmental standards and labor standards, give Hollywood extreme copyright control on the Internet, and restrict countries from enacting legislation that a corporation claims would lower its profits. The deal is also a threat on the health of people around the world limiting the power of governments to offer public health care and it would lengthen drug patents allowing Pharmaceutical companies to charge higher prices for medication. The site has also revealed the conflict of interest of High Court Judge Philip Sales ruled on 12 August 2016 that 130,000 UK Labour party members who joined the party after 12 January 2016 would not be able to vote in the leadership election, in accordance with rules that the National Executive Committee decided in a clear attempt to reduce Jeremy Corbyn's chances to get re-elected as leader. This conflict of interest being that Sales used to work for Tony Blair who has been publicly anti-Corbyn. Now are there some legitimate criticisms of Wikileaks? Sure. The Iraq war logs accidentally revealed the names and details about the last remaining Jews in Baghdad, Iraq, thereby jeopardizing their safety and the “Erdogan Emails” that did nothing but essentially dox millions of Turkish women. However, the good they have done in challenging the power system outweighs these criticisms. Modern media outlets will not challenge power as greatly as they should and Wikileaks is one of the few that will, they should be applauded for that. At a time where the elites are doing everything in their power (as demonstrated by the attacks on Sanders and Corbyn) to manipulate the masses we need Wikileaks more than ever to expose their undemocratic control. The Democrats and Republicans Need to Divide to Save Themselves! 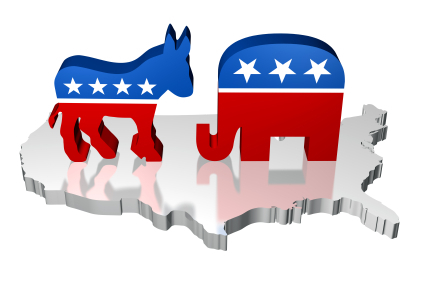 Both of the major political parties (Republican and Democrat) in this American presidential election have had various figures going out in the media talking about “party unity” and how it will be needed to defeat the candidate of the opposing party. My response to all those people is simple…YOU ARE BEING IDIOTS! Alright, maybe that’s a little extreme, but I want everyone who reads this and disagrees with me take a moment and think of this hypothetical scenario. Imagine that we live in an alternate universe where the Republican and Democratic Party have never existed. Who here believes that all the Bernie Sanders and Hillary Clinton supporters would decide “hey let’s form a political party together! ?” On a similar note, does anyone think that Donald Trump, Ted Cruz, Mitch McConnell, and Rand Paul would get in a room and agree to form one as well? Personally, I find both scenario’s hard to believe. In the aftermath of the DNC leaks it was clear that the party heads actively tried to keep Sanders from winning the primary, as a result a sizeable amount of Sanders supporters will not vote for Clinton. Granted, because of the hatred of Trump this will not mean much, but given the dislike of Clinton down the road this will be problematic. The current general election has shown that Clinton has abandoned trying to rally the left of the Democratic party and is currently trying to court Republicans such as fundamentalist Mormons and war-criminals like John Negroponte that Clinton went to the extent of sending out a press release to brag about. The American left is going to continue to be alienated by the Democratic Party that is going to cause the destruction of both wings of the party in the event a figure that can rally the American Right emerges. Speaking of the American right, the Republican Party (as one can tell by the amount of names I listed in the second paragraph) is even more fractured. This is one of the main reasons that Clinton is trying to court Republicans, and it is best demonstrated with the list of Republicans signing a letter saying they will not vote Trump. The fact that polling shows Trump would lose shows that the Republicans will die out if they do not re-brand, however because so many in their base like Trump (he did win the primary) this will prove hard to do. I would argue this is inevitable given the American “Two-Party System,” it is a system that encourages intellectual dishonesty. The fact of the matter is that those on the left do not agree on everything and those on the right do not agree on everything, when a system like the American one forces people who do not agree to act like they do. Ultimately, what I hope happens is that after a devastating loss the GOP falls into irrelevance creating a power vacuum. In the aftermath, the Democratic heads will rally up the GOP establishment to create one massive “moderate” pro-corporate party that is at least not fascist. However, in the meantime the left must continue to boycott the Democrats and attack Clinton so when that power vacuum occurs an alternative emerges (personally I hope it would be the Greens, but that is just me). So to the #BernieOrBust people and the #NeverTrump crowd, I would like to say I support you both, you will destroy your political parties, and quite frankly that is the best you could do for them.